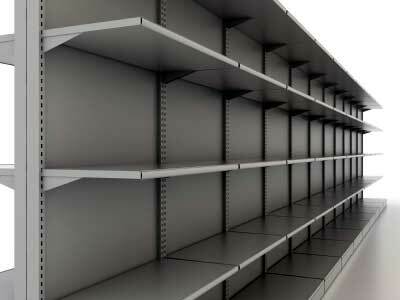 Gondola Shelving is and has been by far the most popular and widely used store fixture on the market today. Available in 3' and 4' wide and a 2' wide sections by special order, they can be connected together to create most any length aisle needed. Gondolas are available in heights of 36" and up to most any height with upright extensions. Upper shelves are sold separately and are also available in 3' wide, 4' wide, and 2' wide by special order with depths ranging from as small as 8" deep to as deep as 30" deep. 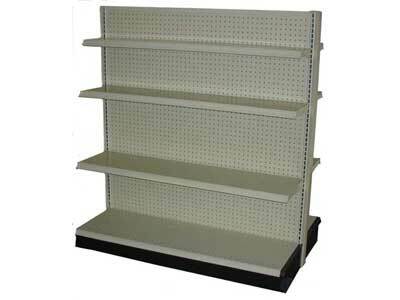 Many styles of upper shelves like wire shelves are used because they do not collect dust and are easy to maintain. Gondolas available in a 24", 3', and 4' configuration with heights from 3' up heights as high as needed. Double Sided and Single Sided Gondolas are configured using the same components making them more versatile and cost effective. 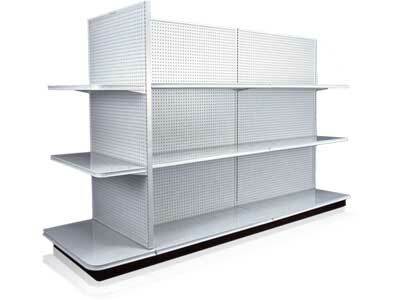 The solution for maintaining separation of products, merchandise, and supplies. Dividers are 3 3/4" wide x 7 3/4" high x 6 3/4" deep. The dividers clip into front shelf perforations. Minimum product width is 6". 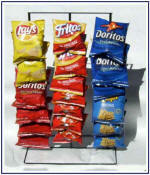 End dividers are sold separately and in pairs. 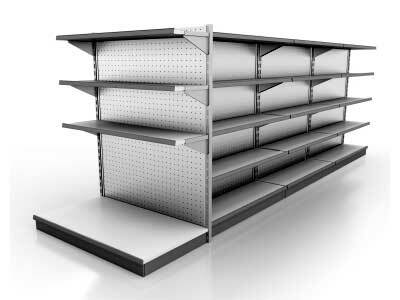 Gondola Upper Shelves sold separately available in a 10" to 30" Depth and widths of 24", 30", 36", and 48", and are available in all the standard and optional colors. 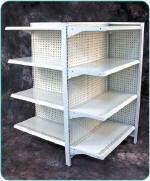 Wire Shelves available in many styles and colors in 24", 30", 36", and 48" widths, with depths from 8" to 24" deep. Several detectors available with scanning features such as Authentication, Infrared, UV, Water Mark, and MG. 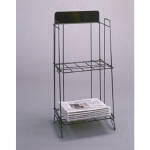 Available in all different shapes and sizes for Magazines and Newspapers.